This entry was posted in Singapore Singapore Immigration Visa and tagged Migrating to Singapore Singapore Immigration Singapore Permanent Residence work in Singapore Work Permit in Singapore on November 20, 2014 by Blog Author. The world is full of beautiful and inviting countries where you can think of immigrating and settling down. However, when you think of such a place, you can’t help but zero in on Singapore as one among the top immigration destinations. There is no doubt that Singapore is fast becoming home to so many people of all races and nationalities. You should base your move to another country based on solid reasons. Singapore has a host of reasons to pull you to itself and is the perfect paradigm for an immigration country. 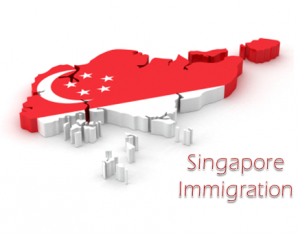 Listed below are some major reasons for immigration to Singapore. Learn what makes this country so unique and set-apart from the rest! Cosmopolitan lifestyle– The mix of varied culture and people from different ethnicity make it a hub for immigrants. You won’t feel out of place in this island nation. The climate is simply appealing and has natural aesthetic beauty. The multi-cuisine in Singapore will leave you spoilt for choice. Well-planned– To meet the requirements of its citizens, Singapore offers a wide range of civic amenities ranging from a strong educational system, opportunities for work, an efficient transportation facility and recreational places. Low taxation rates– Keeping in mind its citizens best interests, the Singapore government levies low taxation rates to individuals and businesses. Spouse and unmarried children (below 21 years) of a Singapore Citizen (SC) or Permanent Resident (SPR). As a permanent resident of Singapore, you can enjoy all the entitlements and benefits as any other SC, including buying property and living and working freely in the country. This move would be a welcome break for you as you enjoy the sights and sounds that Singapore has to offer!